Contains predictions for your future listed daily and calls out the most significant events that will have a long-term effect beginning now and throughout 2019. Life Stages looks at each of the Planets* and what they represent as they pass through the twelve Houses of your personal Birth Chart over the coming 12 months. *Life Stages covers all planetary influences except the Moon. Get even more 2019 horoscope readings and personalized natal chart astrology readings based on your place, date and time of birth. 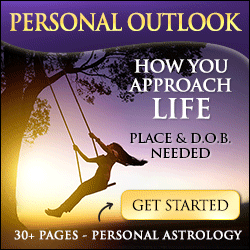 Precise birth chart based predictions, personal 2019 horoscopes and yearly guides to your future are all available in our premium astrology reports. These are our most exact, precise and detailed personal horoscope forecasts for 2019.